Bored in your stay in the hospital and you have seen someone pretty cool that makes you want to start a conversation with? 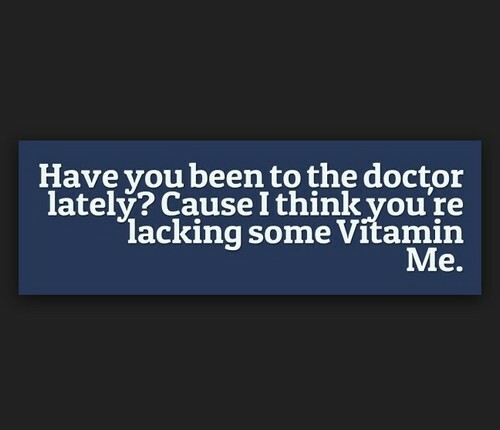 Even if that person is a doctor the pick-up lines below might just do the trick and might create something. I think I might have a problem in my brain because you are all I think about every second. I think I know what to diagnose you. Based on these descriptions, you are in love. Tell me where it hurts, dear and I promise I will make it better, babe. I am willing to take risk after risk for you, my favorite patient, baby. I want you to be my patient forever. Want to belong to me girl? In here, you get to be in control. But later tonight, I want to be the one in control, boy. I am burning up the minute you walked in the room looking hot like that. Doctor, my heart is broken and I am absolutely sure you can fix this. You are safe with me. Because I have got all sort of protection here. I heard the people in here are talking about me. Want to see what talk is about? Want me to feel safe always? Build a home with me. I want you to fix what you have broken…My heart. Can you clearly hear what my heart is telling you? Your name. My heart beats only for one person…You and you alone. Want me to stick something in you that will not definitely hurt you? I feel like my serotonin level is at its highest whenever I have an appointment with you, Doctor. Everything about you is beautiful-your body and your mind. Darling, I want to be like your antibody I will defend you from all the other guys pursuing you. 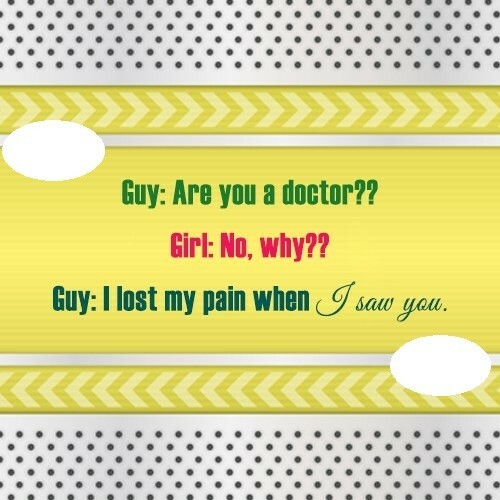 If I am going to choose a specialization as a doctor, I would definitely choose you. I want to be your ophthalmologist so that I have an excuse to look directly into your eyes. 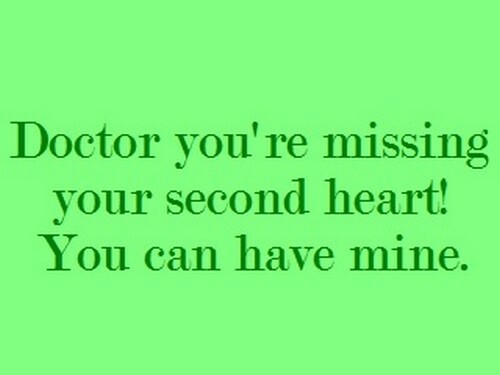 Are you a cardiologist? Because I wanted you to take care of my heart. 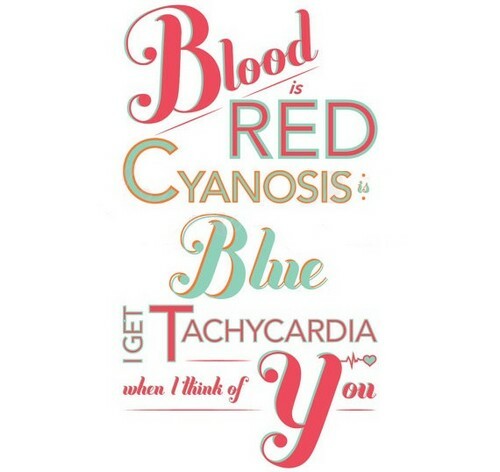 Are you a cardiologist? Because I want you to have my heart in this lifetime. I do not mind if you’re going to dialyze people before letting them in because I know I’d pass. If I can take care of my patient then I can take really good care of you because I love you. I want to be around you always because you have the ability to raise my dopamine level. If I can study all these diseases of people then I can study you until I intimately know you. Talking to you triggers my asthma. Is that even possible? You took good care of me, doctor. Want to take care of me in this lifetime? I don’t know any pick up line but can I pick you up tonight in the hospital and go somewhere? I hope you are drowning right now because I badly wanted to give you a CPR. Doctor, I have been here for three straight days and you still never fail to take my breath away. I hope to hell that this doctor-patient bond we have goes beyond in this four cornered room. I get this rush I only feel when I took epinephrine whenever I see your beautiful face. Trust me I know what I am doing. I have already had plenty of practices as a doctor. I do not need a PhD to understand, get to know you and make you fall in love with me. Darling, trust me you are in good hands. Want a demonstration? My place tonight? I don’t think you need a stethoscope to hear what my heart is saying. Do you mind if I use a stethoscope? Because I’d like to hear your heart say my name. Doctor, my heart is under attack…Because you look so hot. Do you trust me? Then, you should definitely heed my advice and go out with me. Girl, I know a place where we could do things privately. I am the Doctor but why does it feel like I am the one who needs you. This isn’t heaven Ma’am. Oops, I thought you are an angel. I think you need a full-body check-up. Are you busy tonight? Dear, I don’t mind being your doctor forever if that means getting this close to you. I can’t breathe Doctor. Maybe you have to step back a little? Doctor I am interested in anatomy too. Do you have time to make me understand everything? Have you been good since your last check-up? If yes, as your doctor I will give you a reward. Doctor, I think my skipped a beat the minute you walked into the room! Do you have time tonight? Because I want to find every pulse in your body. My heart skipped a beat or two upon seeing your face, doctor. I have searched for someone who can cure me of erectile dysfunction. Finally, I found you. Uhh doctor, I am diabetic. I do not think I can handle this much sweetness from you. Being almost dead makes you braver. Want to go out tonight, doctor? I have found a new purpose in life and that is making you fall in love with me, doctor. I feel a little weird, doctor. Maybe it is because I have seen you again after a month. Doctor, I do not think I can function at all with you around and this close. You’ve been checking me a lot more times than necessary, doctor. Do you like me? I am not playing games and wasting time. I like you, do you like me too, doctor? You are pretty good in healing me physically. Want me to be healed completely? I know a way. I want to feel every pulse in your body and not as your doctor. Would you allow me? Girl, I know exactly what you are searching for in this life. Me. I do not want to be your doctor anymore. Because I want to be your partner for this lifetime. Any doctor you could recommend to me? Because I am seriously having a crush on you. 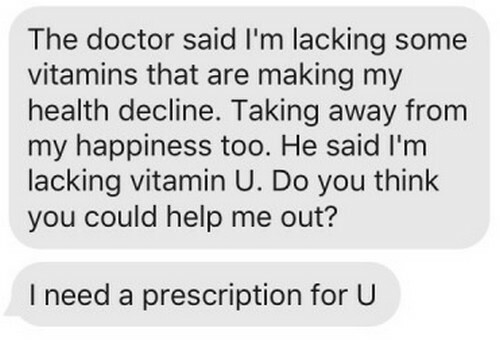 I have to find another doctor because I want to pursue you and make you fall in love with me. You have to find another doctor because I want to know your body in a different way. Mouth to mouth? I am an expert at that even if I am not a doctor. I don’t feel okay before going here but upon seeing you everything felt fine again. 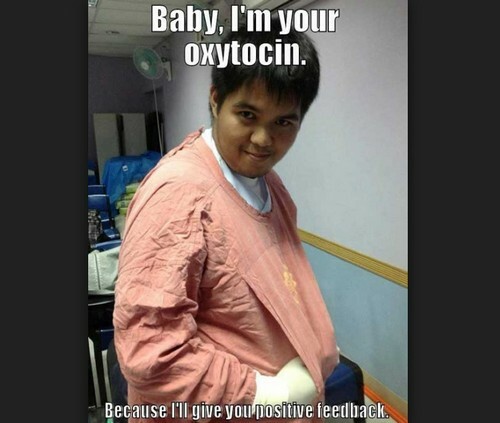 If I can stay up for my patients, I definitely can for you, my dear. Want a demonstration of how fast I can undress a patient? I can feel my eyes light up whenever I see you in that uniform of yours. You are acting weird today. Want me to make you feel good? You are looking pale today. Want me to add some color on your skin? I’ve got a stock of band-aid in case you need one because you look like you’ve fallen for me. I think I might need an inhaler because I find it hard to breathe when we are in the same room. I heard you need an organ! Because I am willing to give all of my heart to you. Dear I know a way to take your mind off of that traumatic experience. Want me to replace your traumatic experience with something beautiful? I want to play doctor and patient because that is a lot more exciting when we’re alone. I always feel like I need an ambulance whenever you are around because you are marvelous. Hey you are good at anatomy right? Want to help me make sense of something tonight? My senses are all suddenly heightened whenever you enter the room and check on me. Your hands are pretty and gentle. I want them to feel on other parts of my body. Do you mind? I promise, I will handle your heart with care because I know how vulnerable hearts can be. Did you hear what my is telling you with that stethoscope of yours? It just said I love you. Suddenly I am not afraid of hospitals anymore because this is the only place I get to see you. I never want this sickness to go away because this is the only reason I get to interact with you. I never want to eat apple again because they say that is what drives you away. I promise I will take care of my body but not that good so that I could still see you. Do you want me to stop faking sickness? Then, give me a chance and date me already. Damn, ever since I met you I prayed for a sickness so that I could see you again. You have this ability to make me have a valsalva maneuver because my heart stopped beating. I am now desperate to be your proximal because I never want again to be distal from you. I am anemic but upon seeing you I can feel myself becoming red and red. Are you an actin because I am a myosin because we perfectly slide together. My body is currently unbalance but with your hands on me, it feels like I am in equilibrium. I want to be the reason your heart keeps doing that beat like that forever. Will you allow me? I don’t ever want to change hospital because you are becoming my favorite person more. I am one brave person. You do not believe me? I like you. Want to go out with me tonight? My heart is broken and I know a person who can heal this…YOU. You are just sitting there and listening but somehow I am enamored by you and your beauty. Did you feel that connection? No it is not just because I am your patient, it is more than that. Darling I am not here to steal your heart I am here to fix it for you no matter how broken it is.